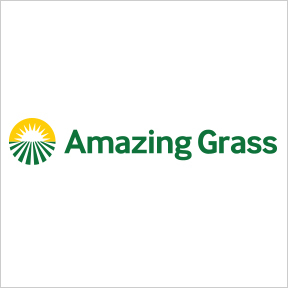 Professional Supplement Center offers Amazing Grass®, a line of authentically crafted, certified organic, Non-GMO whole food green nutrition. Their truly health supportive products include antioxidant-rich superfoods, plant-based proteins and nutritious greens. Cultivated on a family farm in Kansas, cereal grasses are highly nutrient dense when grown, harvested, dehydrated and stored under optimal conditions. Grasses are grown outdoors to allow a deep root structure to extract the maximum amount of nutrients and minerals from the soil. Only the dark nutrient-rich tips of the blades are harvested at peak nutrition to retain optimal levels of phytonutrients, enzymes, vitamins, minerals, protein and fiber. Within a few hours of harvesting, the grasses are dehydrated at low temperature and pressed into pellets to preserve the raw freshness and whole food nutrients. Before crafting into the final products, grasses are finely ground to provide bioavailable, easily digestible antioxidant-rich superfoods and plant-based proteins in a convenient enjoyable form. Protein Superfood Peanut Butter Chocolate: This yummy all-in-one powdered nutritional formula combines farm fresh greens with nutrient-dense fruits and vegetables plus 20 g of complete plant-based protein per serving. An organic protein blend includes pea, hemp, quinoa and chia proteins. The organic green food blend includes barley and wheat grasses, alfalfa, spinach, spirulina, broccoli and cracked-wall chlorella. Flavored with organic peanut flour and organic Dutch cocoa. Gluten free, Non-GMO, vegan formulation. Organic Wheat Grass: Pure, energizing 100% organic whole leaf wheat grass powder provides antioxidant-packed, vitamin- and mineral-rich daily greens. A naturally balanced complete food, wheat grass is an excellent source of essential amino acids, phytonutrients, enzymes and carotenoids. Gluten free, Non-GMO, kosher, single ingredient vegan formula. Raw Reserve® Berry: This great tasting raw product provides nutrients from land and sea in support of daily nutrition, digestive health and immune function. The formula includes a proprietary aquatic algae blend, organic cereal grasses, organic herbs, fiber and digestive enzymes, as well as a multi-strain probiotic blend providing 25 billion CFUs. Gluten free, Non-GMO, kosher vegan formulation. Green Superfood Chocolate: This energizing raw whole food formula supports digestive, immune and overall health with a powerful blend of nutritious organic greens, phytonutrients, antioxidant fruits and veggies, natural fiber, digestive enzymes and probiotics without fillers or artificial ingredients. Features organic Dutch cocoa, redwood cocoa, and organic cacao. Gluten free, Non-GMO vegan formulation.